Minnie Baker (active 1903), Actress. Sitter associated with 3 portraits. 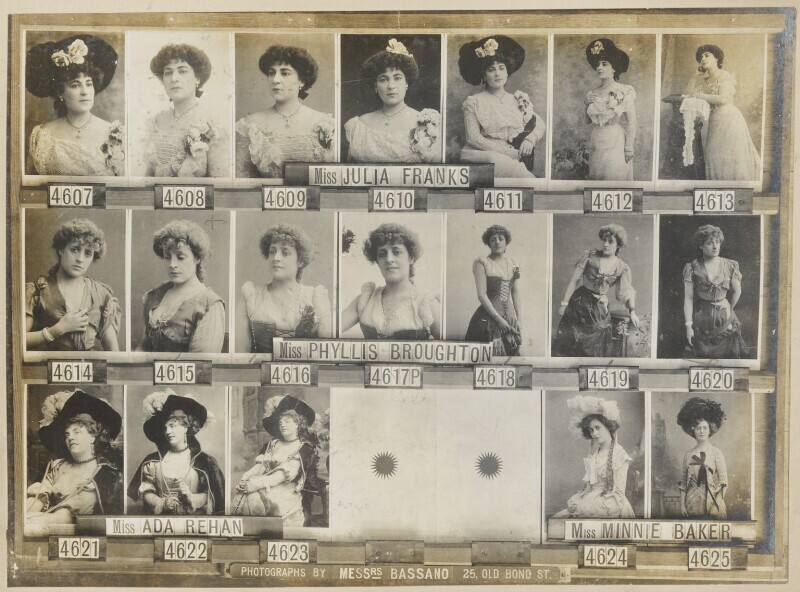 Phyllis Broughton (1862-1926), Dancer and actress. Sitter in 10 portraits. Julia Franks, Actress. Sitter in 1 portrait. Ada Rehan (1860-1916), Actress. Sitter in 14 portraits.